Okay, so I know I'm not one who regularly dyes, colours, or does extremities to their hair, but I still do have hair damage! As you know, I recently updated my locks for summer with a balayage done by the amazing Victoria at The White House, in Toronto. I'm obsessed with the subtle lightness for summer. When I flip my hair a certain way, or curl it a certain way, the lighter strands shine through. It's such a nice change! I also use a blow dryer on the reg and the flat iron almost every day and it's no doubt that heat tools dry out and damage hair over time, leaving it as though all the life has gone out of it (wahhhh, the struggle!). The ends are left looking kind of burnt, and the length gets tangled and brittle. So where has that left me? 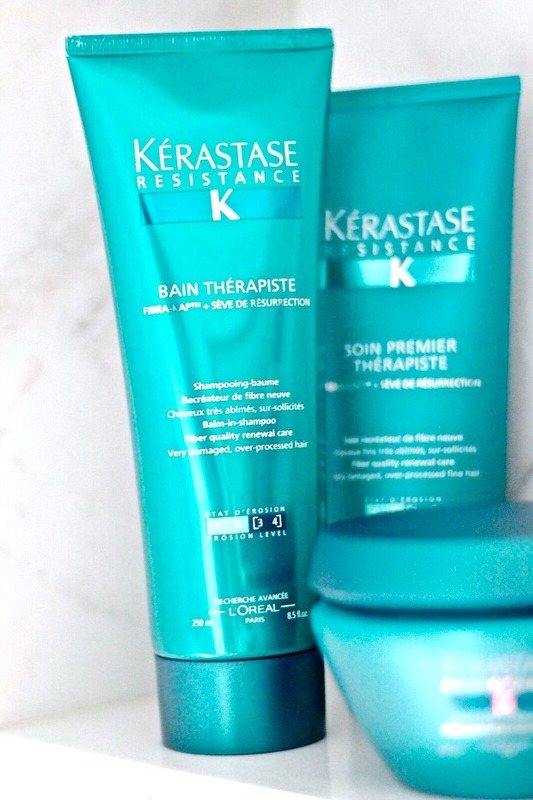 I took Kérastase's online diagnostic tool to determine my over processed hair was in need of vital proteins to restore life back into it, which brings me to their Resistance-Thérapiste collection. A whole formula dedicated to bringing the life back into your hair! I'm happy to report I saw major improvements after one single wash. It's a collection of best selling products, enriched with "resurrection sap", designed to aid damaged hair, bring the vital proteins back and bring life back into it. Don't get weirded out by the word sap, it comes from a plant called "Myrothamnus Flabellifloia". Any guesses what this plant does? It comes back to life! How cool is that? So, what is my hair-care process? Step 1 is using the Soin Premier Thérapiste, a pre-wash. Think of this as conditioning first, so the shampoo doesn't weigh down the hair. Step 2 is the Bain Thérapiste (the shampoo), where you apply first to the ends then rub in all over. It was so lathery and luxurious feeling. Step 3 is to use the Masque Thérapiste on towel dried hair, and leave in for a few minutes, then rinse out (to save time you could wring out the hair and still do this in the shower). This step is recommended for those with thicker hair, so I don't do this one every wash. Step 4 is to add 2 pumps of the Double Serum Thérapiste to the ends and lengths of towel-dried hair. 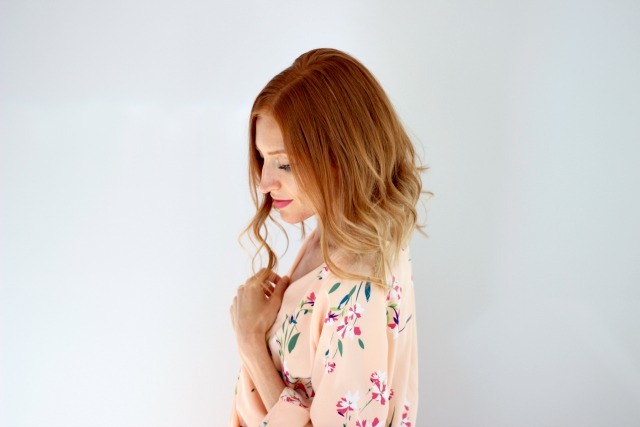 Such a simple, at home method to really reverse those nasty effects of overprocessing your hair. Side note-- the scent is so refreshing, and soothing! 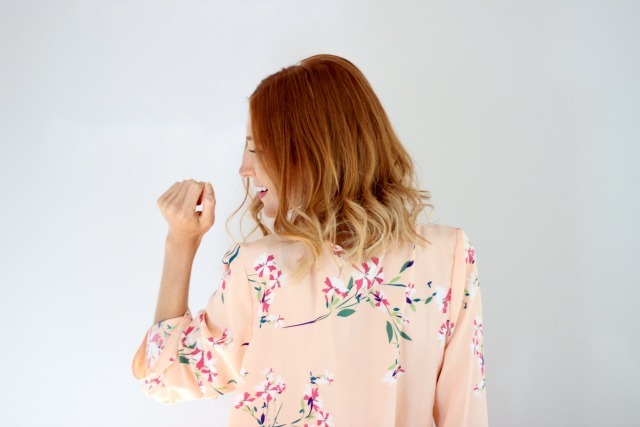 Now you may not have over processed hair (which is great for you! ), but you may want to still check out another fabulous Kérastase line. The personalized diagnostic tool (here) will help you determine your hair care needs, then provide your desired results. Do you have frizzy hair? Rebellious, curly hair you want to tame? Are you loosing hair density? Or, is your hair just fine and in need of some oomph? Whatever your needs are Kérastase has a plan developed for it. Let's discover your perfect hair-care regime, shall we? 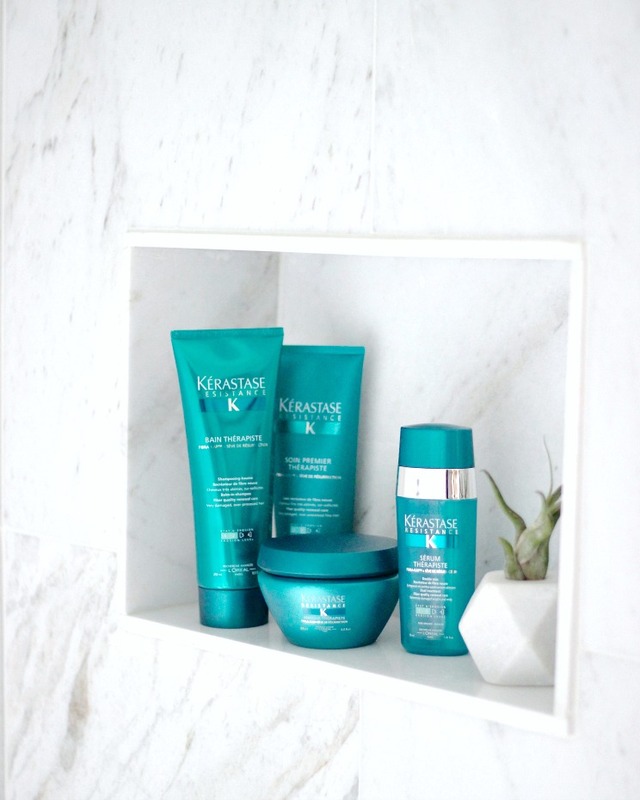 Enter below to win a personalized hair care collection from Kérastase! The post is not sponsored, however products were provided to test out in advance of running this contest. All opinions are my own. I've got colour treaed hair so I would love the Bain Chroma Captive, Fondant Chroma Captive and Elixir Ultime Imperial Tea! I'm losing hair density. My hair was so thick and I feel I've lost that. My hair is color treated-not sure if that has something to do with it. I look forward to trying the Soin Premier Therapiste most-pre conditioning sounds amazing/beneficial. Yes, Teresa! I have been feeling the same lifelessness in my hair. It definitely works wonders! I'm interested in trying the Masque Thérapiste. The the Soin Premier Thérapiste, a pre-wash!!! Thanks! I'm loving this pre-wash for protecting the hair! Thanks for entering, Amy. I would love to try the Soin Premier Thérapiste, after all this summer sun this sounds like the perfect product! Exactly, Bailey! Our locks need some loving. I've been dying to try a new mask for my dry curly hair! Hope this one will work for me!! 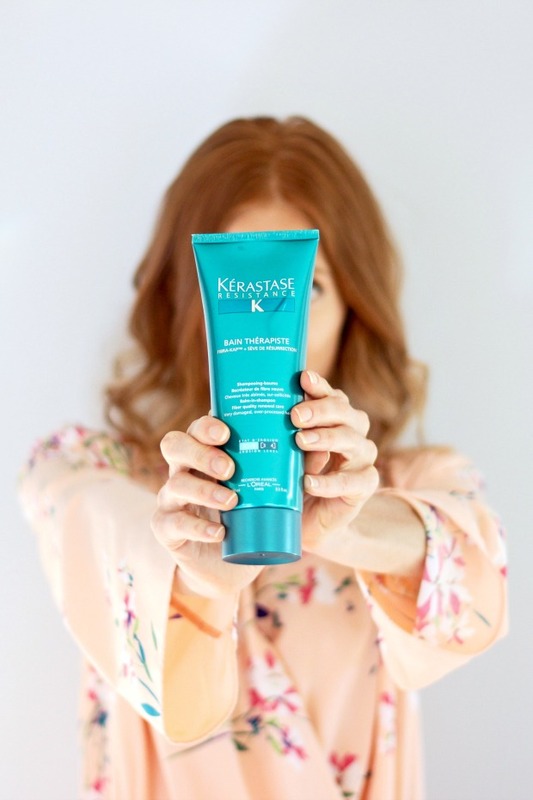 Kerastase has something for you to try, Laura! Pre-wash is such a cool concept! most excited to try the shampoo!! Kerastase Materialiste Gel Spray = best product! Love the result and the light scent! Glad you love it! There is sooo many to try! I'm most excited to use the Soin Premier Therapiste; this would help my hair. I am most excited about trying the Volumifique line for my fine hair! I haven't tried that one but it looks so lovely! Best of luck! I am most excited to try the Soin Premier Thérapiste and the Ciment Thermique. I really would love to try any product from this line, because I hear so many good things about it!